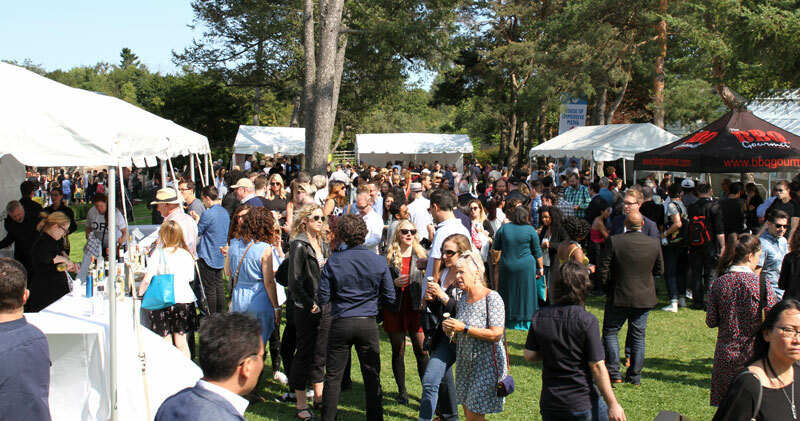 On Sunday, September 10, 2017, some 2000 people from the screen entertainment industry made their way uptown from the downtown bustle of the Toronto International Film Festival to our picturesque and historic campus on Windfields Estate to celebrate the 29th annual CFC BBQ Fundraiser – our second biggest fundraising event of the year. The sunny rays and cool breeze created the perfect weather duo for guests to enjoy delicious goods and provisions, while mingling and networking with other industry folk. Hosted by CFC’s Chief Executive Officer, Slawko Klymkiw, and CFC Founder and Chair Emeritus, Norman Jewison, the CFC Annual BBQ Fundraiser raises funds for our multi-disciplinary programs in film, television, music, acting and digital media. Programs like the Cineplex Entertainment Film Program, where alumnae Molly McGlynn and Kathleen Hepburn developed their first features and TIFF ‘17 Official Selections Mary Goes Round and Never Steady, Never Still, respectively, in the Writers’ Room. Or the Telefilm Canada Feature Comedy Exchange, where alumni Kyle Rideout and Josh Epstein developed the script for their comedy feature Public Schooled, and Pat Mills developed his comedy feature Don’t Talk to Irene, before they went on to screen at TIFF 2017. Or CFC Features, where PUBLIC SCHOOLED and RUDE were developed and financed for production. Amidst our many beloved attendees at this year’s BBQ were some honoured guests who came to support the CFC, including The Honourable Carolyn Bennett, Minister of Crown-Indigenous Relations and Northern Affairs; Robert Oliphant, MP for Don Valley West; James Villeneuve, Canadian Consul General in Los Angeles; The Honourable Michael Coteau, Minister of Children and Youth Services; Jaye Robinson, Toronto City Councillor for Ward 25, Don Valley West; Shelley Carroll, Toronto City Councillor for Ward 33, Don Valley East; and of course our Founder Norman Jewison and his wife, Lynne St. David-Jewison. Speaking of our founder, BBQ guests always enjoy hearing from Norman, who shared a few words and thoughts with this year’s crowd, “This place [the CFC] has grown. It’s grown like TIFF has grown. […] We’ve kind of grown up together. […] I can’t tell you how proud I am today to see this union between TIFF and the CFC. It’s a record-breaking year; as Slawko said, we have more than 70 alumni showcasing work at TIFF this year. I mean, can you imagine that? And most of them are women!” As I’m sure you can imagine, this elicited big shouts of excitement and celebration from the crowd. 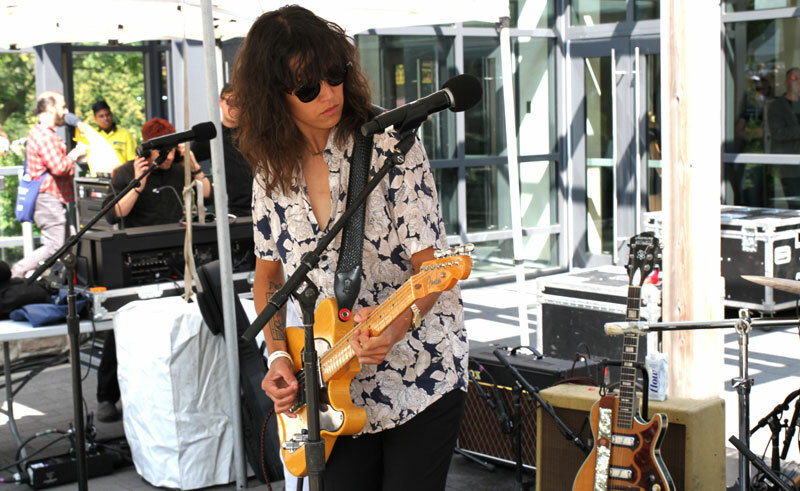 Aimee Bessada, alumna of The Slaight Family Music Lab, performing at the 2017 CFC Annual BBQ Fundraiser. We are grateful to our many guests who supported the BBQ fundraiser by donating generously to our “Surprise Inside” initiative, which offered three fabulous surprise packages – a $4000 package that included a two-night stay at the Anndore House, cocktails, dinner, a $250 voucher towards a luxury Tesla sedan rental, courtesy of ecoRIDES, and a luxurious Céline Cabas Phantom handbag, compliments of Saks Fifth Avenue; a $3000 package courtesy of QNI Schinoussa Health; and a $500 Whole Foods Market Gift Card. 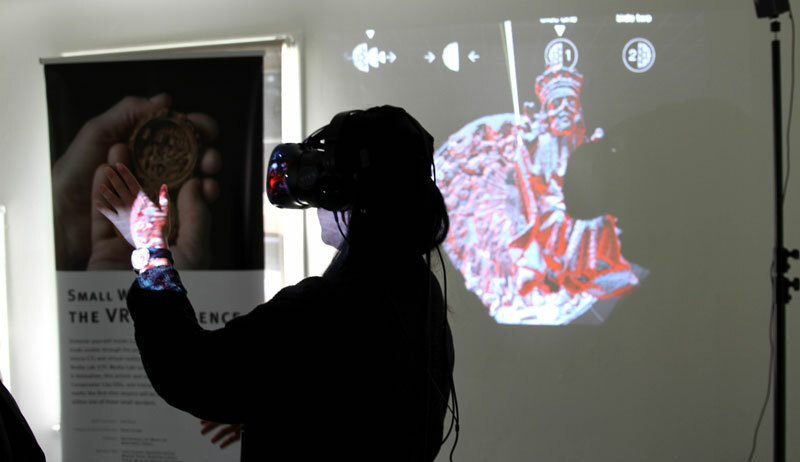 Our BBQ would not be complete without some amazing activations from CFC Media Lab, which held the House of Immersive Media at the BBQ, where guests patiently waited to catch the newest in virtual and augmented reality. The event, sponsored by LumièreVR, offered demos of AR and VR by LumièreVR and CFC Media Lab IDEABOOST companies, including: Brinx, demo-ing MasterpieceVR; the House of VR, demo-ing Prosthetic Reality, augmented reality animations of art works and books; MetaVRse’s playful 360 Photoboth; Nanoleaf’s multi-spectrum lighting panels; and a reprise of the hit Small Wonders: The VR Experience, a co-production of CFC Media Lab and Seneca College School of Creative Art & Animation. Once inside the House, guests were able to chat first-hand with company founders about how these unusual visual experiences were shaped. Check out our photo gallery of the 2017 CFC Annual BBQ Fundraiser HERE.